Taking as a methodological basis, project-based learning, cooperative learning techniques, learning with sense and our of emotional intelligence programme, our goal during this stage is to develop the most comprehensive training for our students, so that they gradually acquire a solid base for further learning. 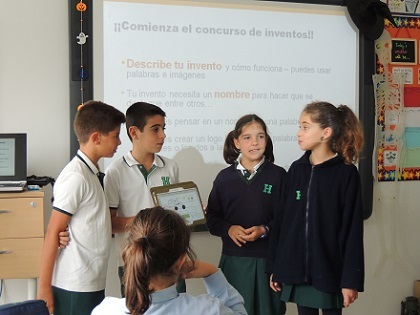 The above mentioned methodologies are introduced through the development of a globalized curricular project which promotes mathematical thinking, language skills in English, Spanish and Mandarin Chinese, along with digital skills, thus contributing to the development of personal autonomy, critical thinking and problem solving. All these aspects are complemented by an extensive programme of activities; day trips tailored to the different ages and related to the termly “topics” developed, together with a complete and individualised tutorial Action Plan, which at this stage provide a solid base for the future of Humanitas students.